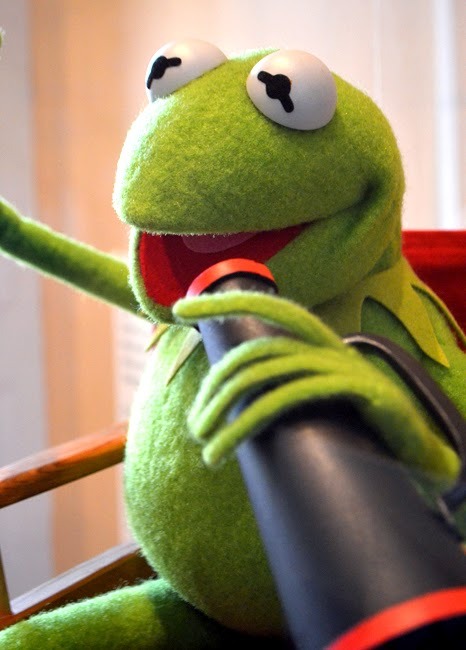 Heading out to see the new Muppets Most Wanted film? 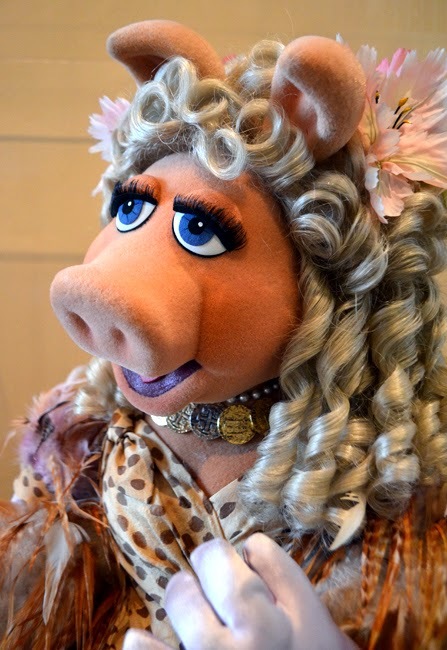 Make it a double feature and hang out with Miss Piggy and Kermit...in 'person'! Atlanta is wonderfully fortunate to have a number of Muppets in residence...and soon we're going to have a LOT more! This is thanks to the Center for Puppetry Arts, which happens to be on Spring Street. I'd love to see millions of tourists visit the Center for Puppetry Arts, as well as locals! The Center offers a lot more than most would think. Quite a lot more! A few of the Center's offerings include: puppetry performances—for the whole family, as well as some adult-only shows; the extensive museum is phenomenal; a vast array of tour options; puppetry classes for all ages; a research library; and their signature annual fundraising event, the String Fling Gala. Mark your calendars now! I'm not sure when he joined, but today my favorite Muppet is Pepe the King Prawn...he makes me laugh! And I've always loved the Swedish Chef—one of the extremely few Muppets with human hands. The Muppets just make me smile, and often they make me laugh. Seriously, how can you not like them?! I've loved the Muppets since the first time I saw them as an 11-year old kid. I still enjoy the movies and sometimes while YouTubing. 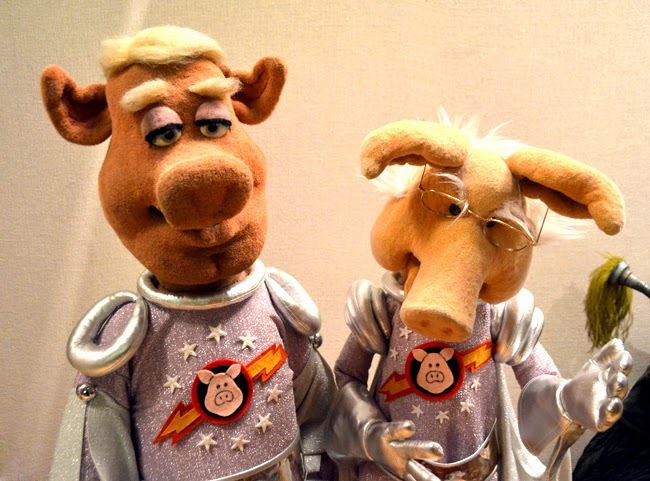 And one of my favorite segments was Pigs in Space, with Link Hogthrob and Dr. Strangepork. 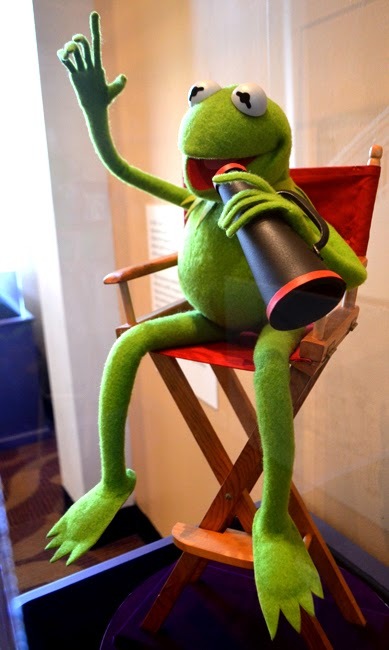 The Henson family has generously gifted the Center for Puppetry Arts a significant portion of The Jim Henson Collection. 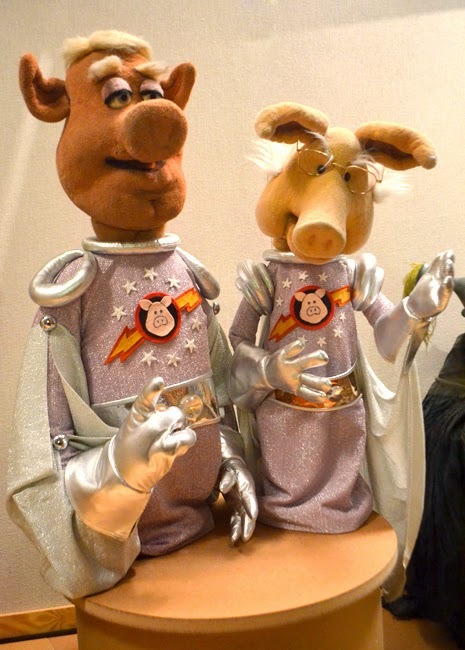 Announced in 2007, they'll have approximately 400 puppets, and numerous other artifacts, to create a new exhibition, which will be housed in the Center's exciting expansion, set to open in 2015. There's more information about the expansion and renderings in the main hall. Did You Know: In 1978, Kermit the Frog and Jim Henson himself, cut the ribbon to open the now world-renowned Center for Puppetry Arts. Today, Brian Henson, Chairman of The Jim Henson Company, is also the lead judge on a new competition show on Syfy...Jim Henson's Creature Shop. The winner gets a creature/puppet making job with The Henson Company! Gigi Edgely, perhaps best know for her role in Farscape, for which The Jim Henson Company made the puppets/creatures, is the show's host. If you're local or an event planner coming to Atlanta, you can rent any of the many facilities at the Center, whether for a birthday party or a corporate retreat. Where better to get the creative juices flowing...FUN! In addition to the extensive Spring Street museum, the Center for Puppetry Arts also has an online exhibition, featuring puppets from all around the globe, grouped by continent. [online collection]. If you're planning a trip to Atlanta, I hope this has whet your whistle and piqued your curiosity enough to add the Center for Puppetry Arts to your visit itinerary. I should note that photography is not permitted in the museum, except at the entrance where the giant Pinocchio feet are. A huge "Thank you!" to the Center for Puppetry Arts for allowing me to make and share photos with you. I'd already planned on seeing Muppets Most Wanted, but then I got to see Miss Piggy, Kermit, Link Hogthrob, and Dr. Strangepork, which made seeing the Muppets on the Big Screen even more exciting. 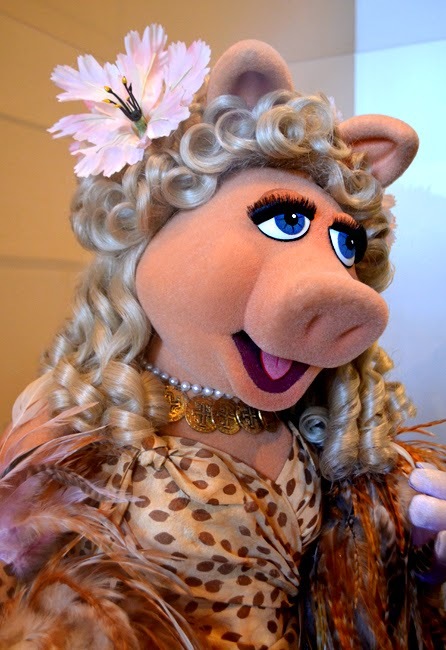 Now, head on over to the Center for Puppetry Arts...and please, tell Miss Piggy I said "Hello! ".